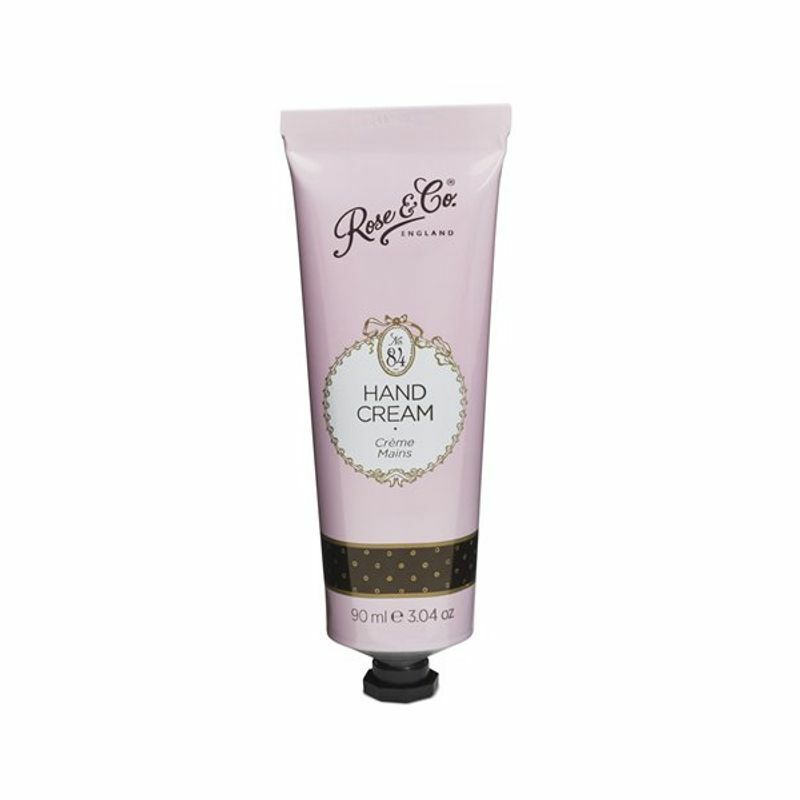 The Rose & Co No.84 Hand Cream is the perfect indulgence for your hands and nails. The signature scent of the No. 84 collection is inspired by classic rose with a modern twist. The scent is a complex blend of rose, tea, violet, jasmine, iris, powdery cedar, amber and musk and leaves your hands smelling divine all day. Enriched with Rice milk and Rosebud extracts that contain amino acids to help nourish and moisturise hands. Vitamin Pro-V5 and shea butter add extra moisturising properties and Vitamin E guards your skin.